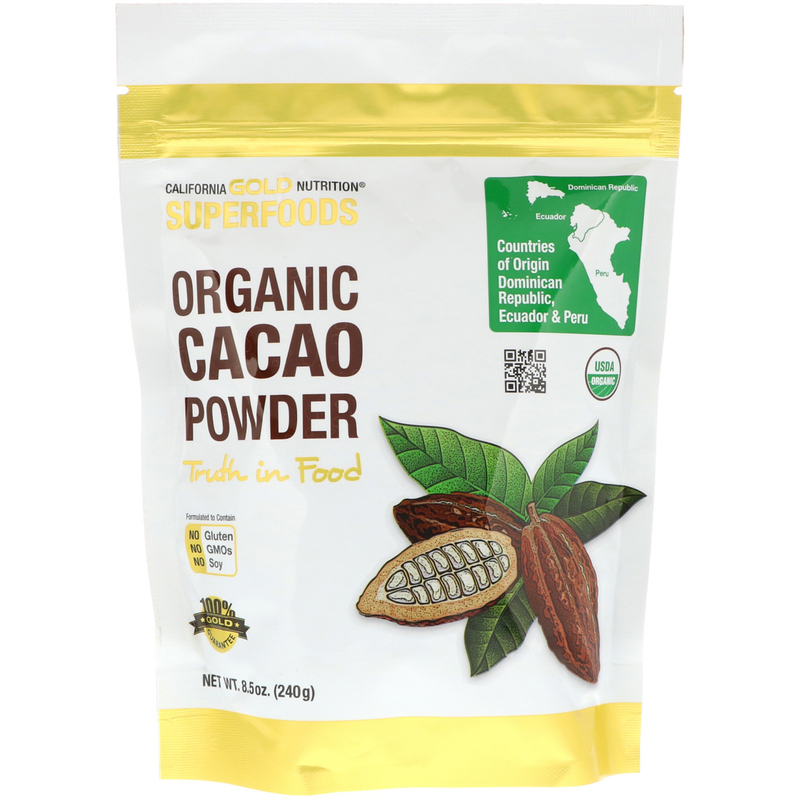 California Gold Nutrition® Superfoods Organic Cacao Powder is sourced from farms in the Dominican Republic, Ecuador and Peru. Our unsweetened, natural process (Non-Alkalized) Cacao/Cocoa powder is quite bitter due to the polyphenolic compounds and is best blended with sweet and savory flavors. Not a significant source of Vitamin D & Calcium. 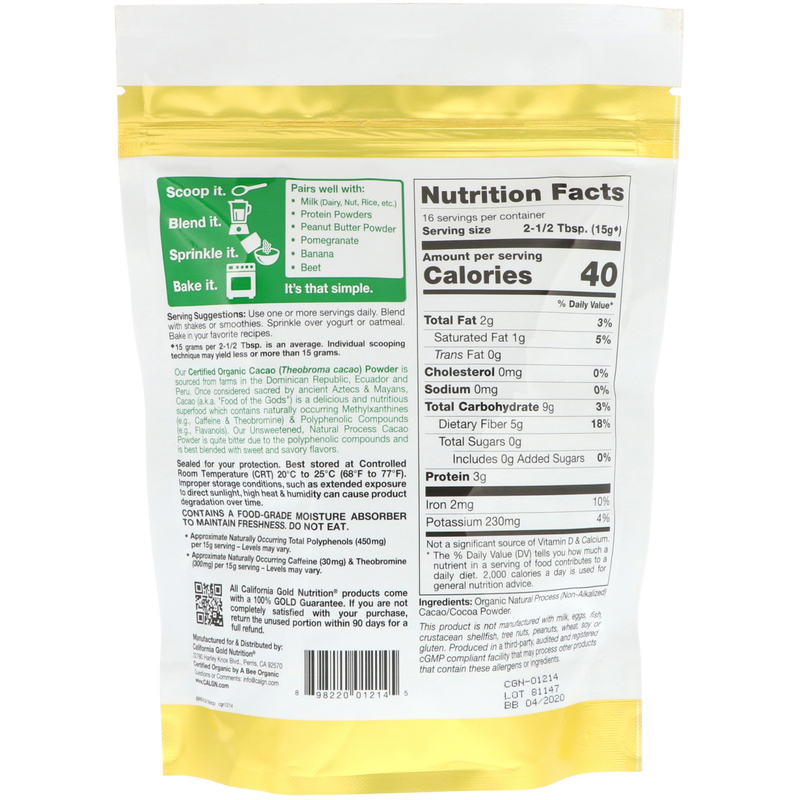 ^15 grams per 2-1/2 Tbsp. is an average. Individual scooping technique may yield less or more than 15 grams.